Geo. 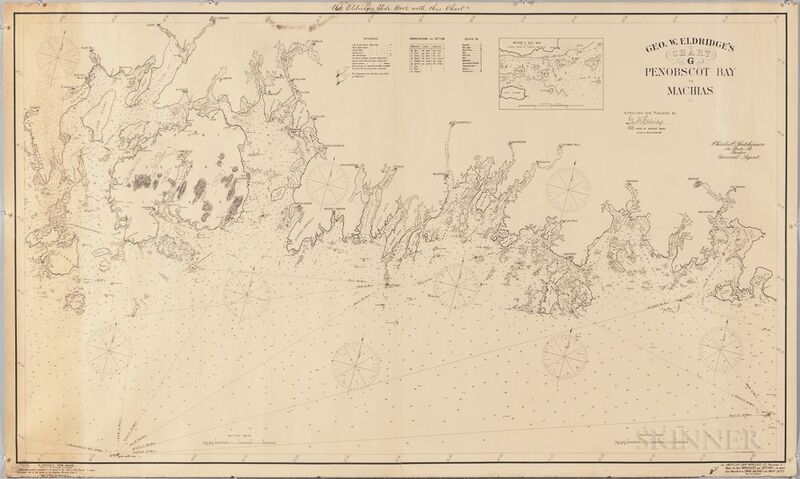 W. Eldridge's Chart -G- Penobscot Bay to Machias. Boston: Eldridge, 1901. 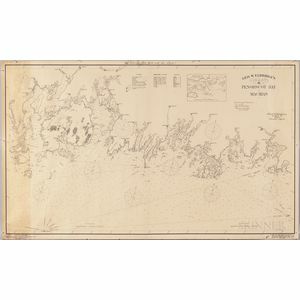 Large engraved chart, on original linen mount with publisher's notices pasted on verso, bells, buoys, and lighthouses colored with dots in pink and yellow, rolled, 33 x 55 1/2 in.